Acellus Academy will not sell, or rent, any student personal information to third parties for any commercial purpose whatsoever. 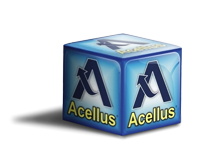 Acellus Academy stores and processes all student personal information collected on our computers in the US, and we protect it by maintaining physical, electronic and procedural safeguards. We use computer safeguards such as firewalls, data encryption, and multi-factor authentication for login. We enforce physical access controls to our buildings and files. State or federal employees in response to a lawfully issued subpoena for a student’s information. We may amend this policy at any time by posting a revised version on our website. The revised version will be effective at the time we post it. We last modified this Policy on February 27, 2015.